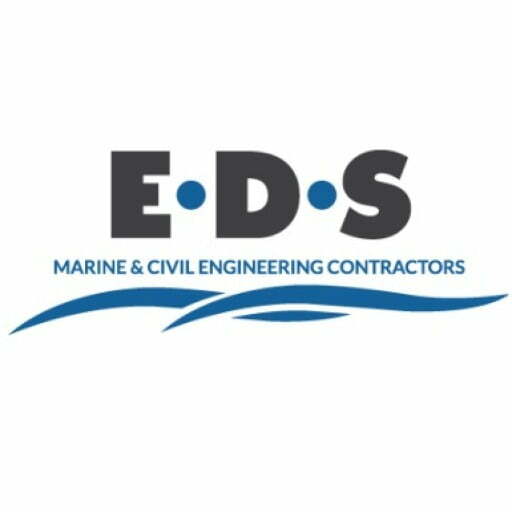 EDS has expanded and developed into a multi-facetted marine and civil engineering contractor with an extensive array of professional skills and a wealth of industry knowledge and experience. 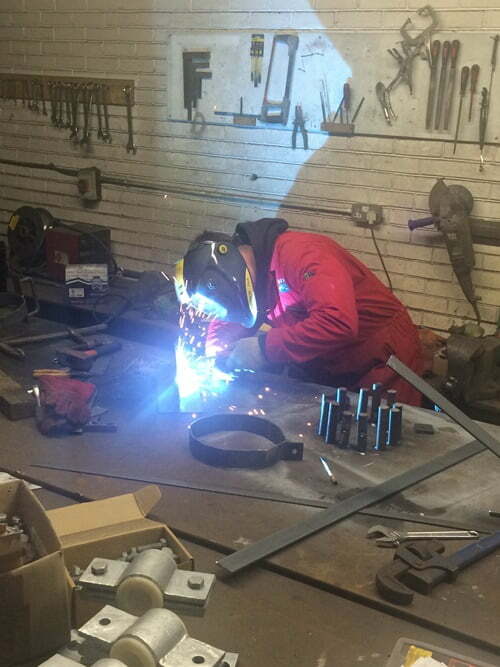 These skills are supported by a significant collection of specialist tools and equipment, as well as our in-house fabrication workshop and machine shop. 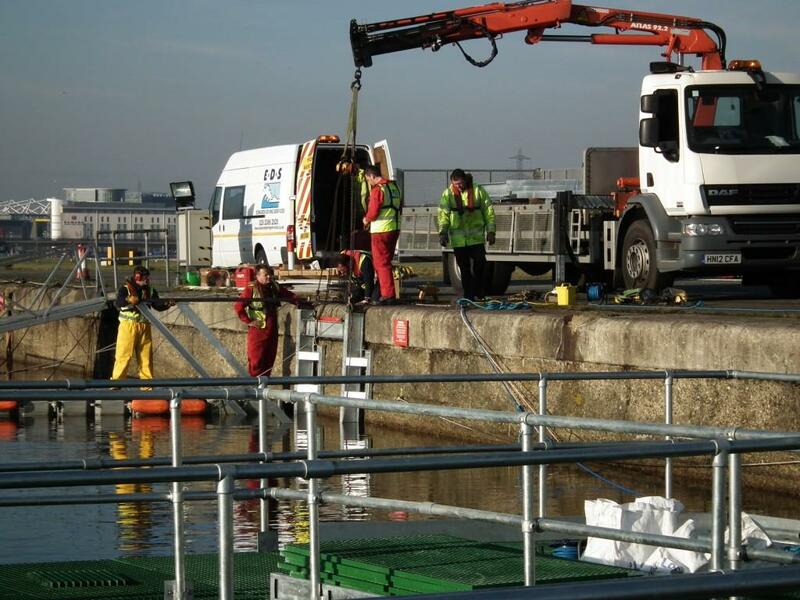 This combination allows EDS to provide its clients with an exceptional bespoke service tailored to their specific needs. 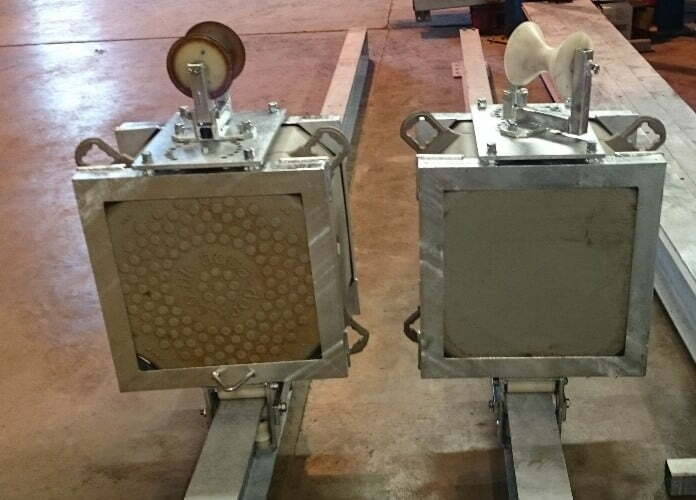 Our fully equipped fabrication workshop allows our engineering team to design, fabricate and install bespoke engineering solutions for a vast variety of applications. 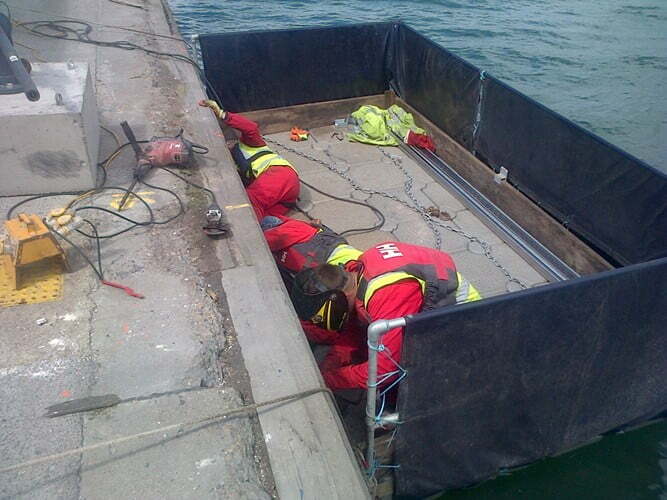 Our engineering team work together with clients, not only to provide a high quality service, but to develop a solution that often offers more than was originally envisaged. 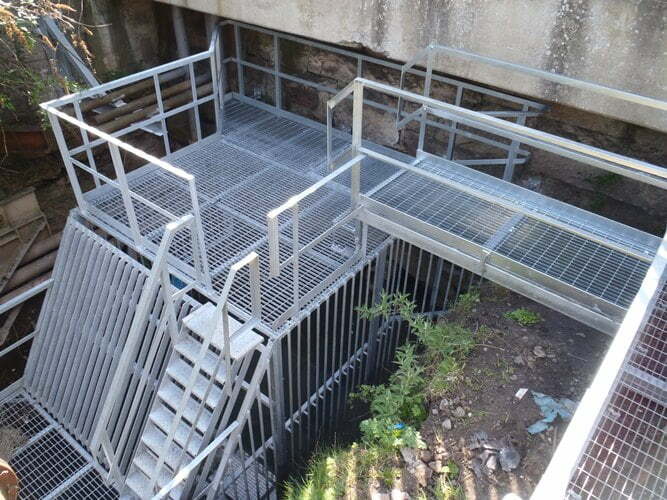 By fully appreciating the clients requirements and constraints, we can develop a solution based on our wealth of experience & specialist knowledge of designing, fabricating and installing structures and equipment within dynamic natural environments. 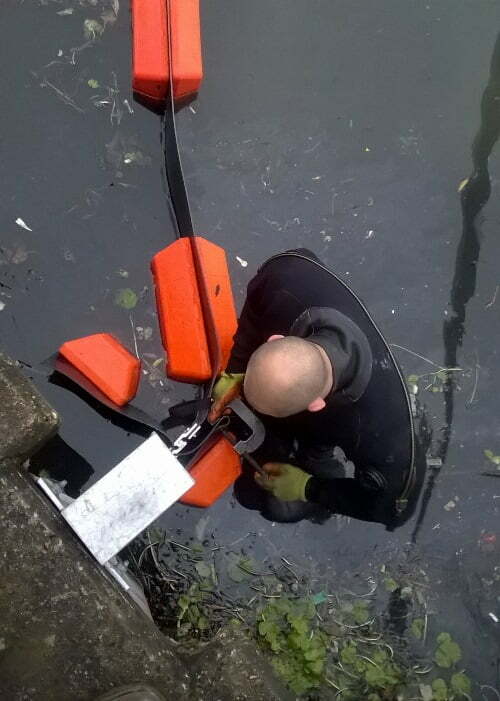 This successful combination allows EDS to offer alternative solutions that add value, quality and benefit, that would otherwise have not been considered possible. 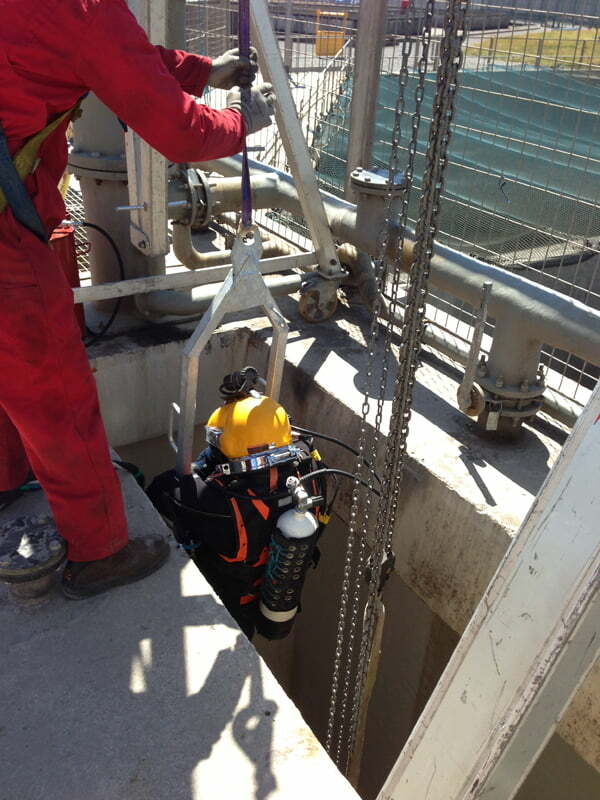 Power Station Cooling water system had been in operation for many years without the ability to isolate a certain section for maintenance. 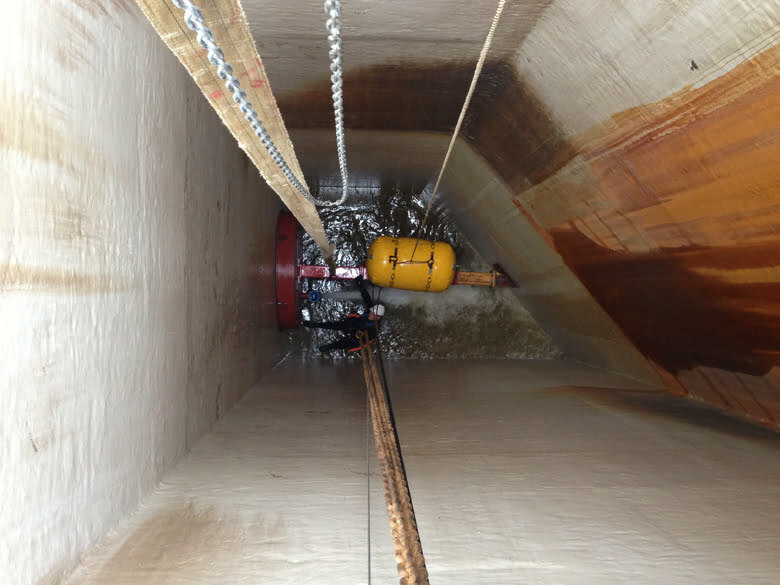 EDS gained a fully appreciation of how the cooling water system operated and developed a bespoke hydraulic plug to create a seal, drain the isolated system and complete the required maintenance. 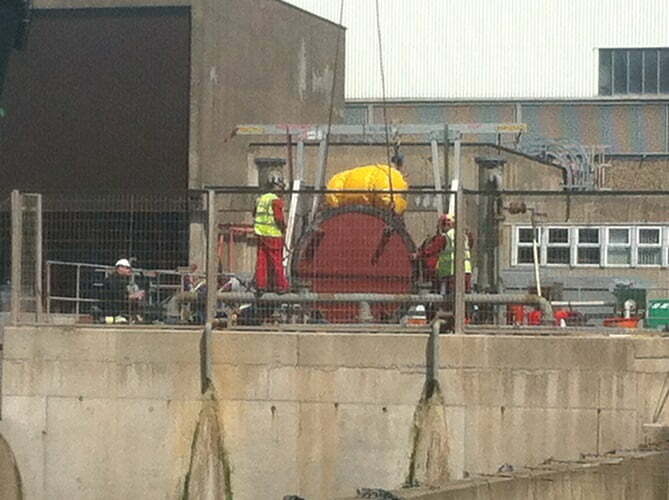 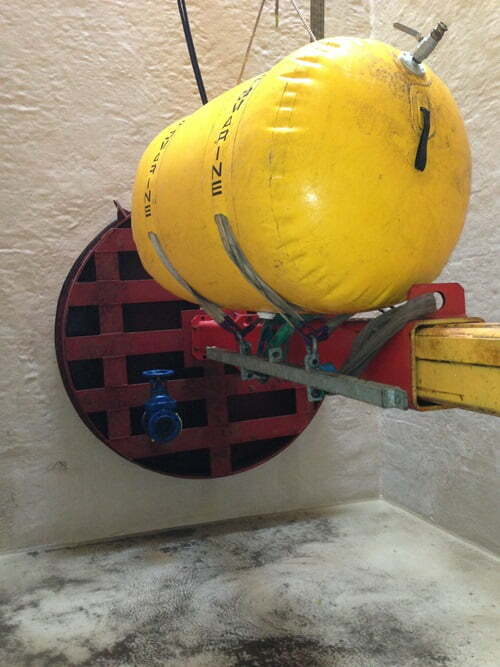 Pollution control booms are anchored by brackets that need to float, rising and falling with water level. 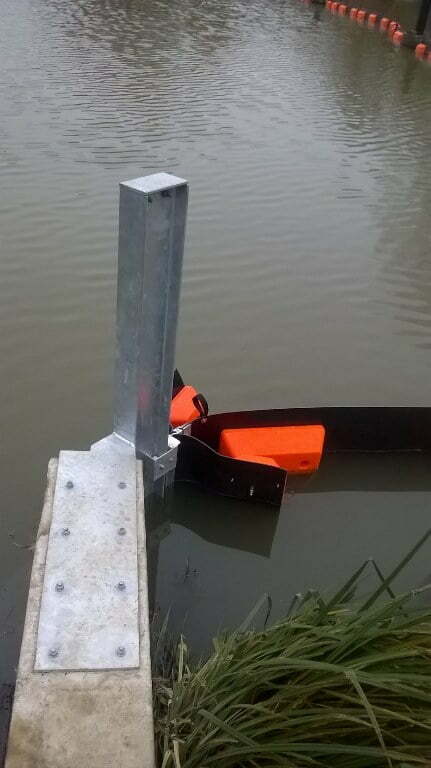 Our boom supplier partner, has sourced these from a US supplier, who provides cast aluminium brackets that are long lead items, expensive and heavy to ship and install. 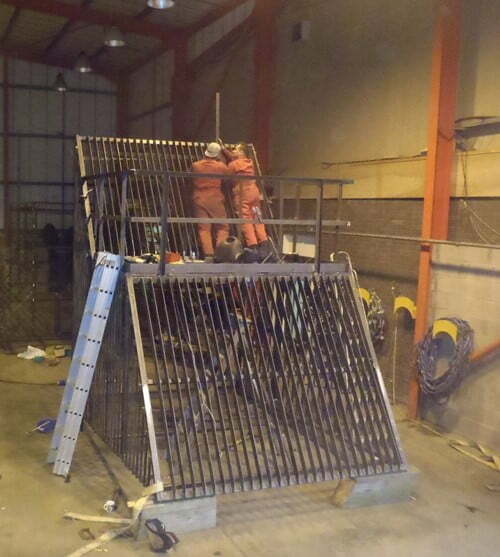 Our engineering team developed an aluminium sectioned bracket that can be bolted together at site. 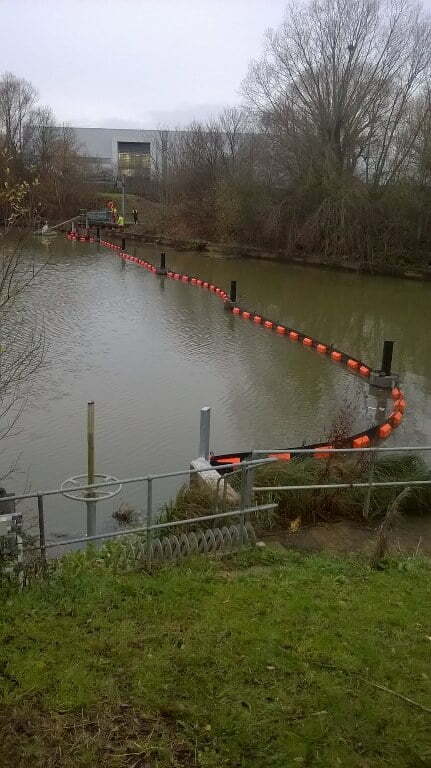 This significantly reduces costs, lead-time and importantly weight, making them much easier to install and reducing constraints upon the siting location. 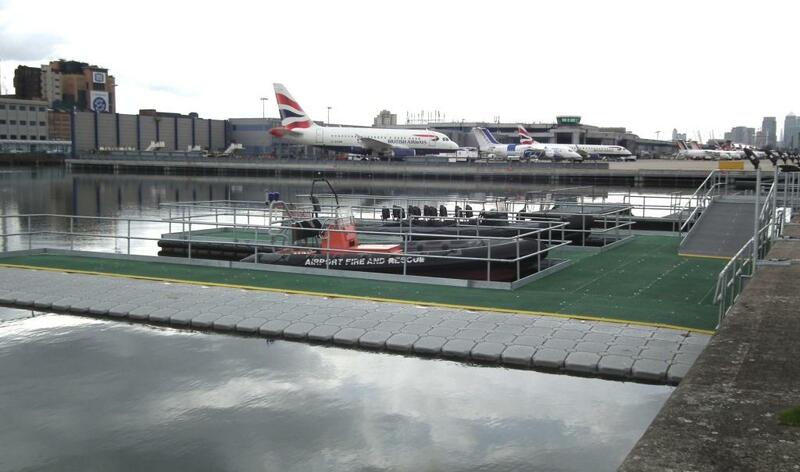 Our partner aqua-dock provide modular pontoon systems, which depending on the application can also be required to rise and fall with water level. 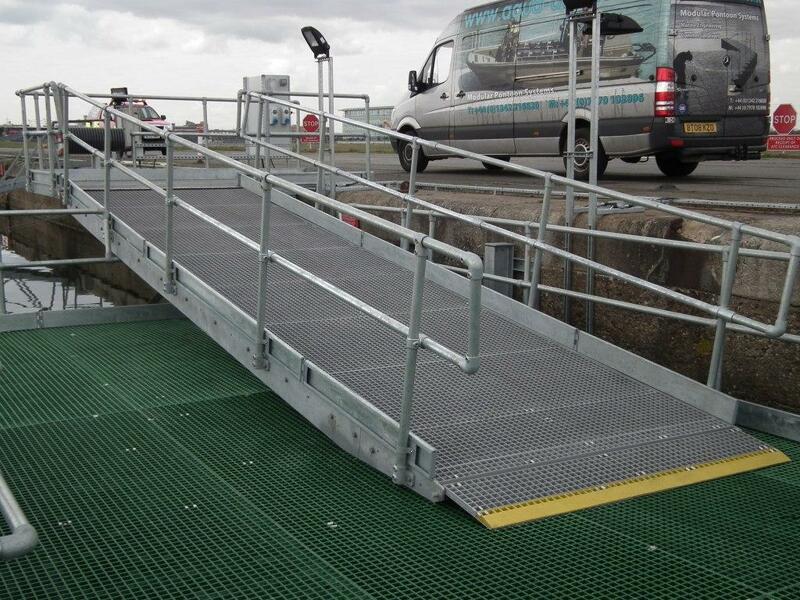 EDS work with aqua-dock to design bespoke installation systems including tide slide brackets, railings, ramps and supports. 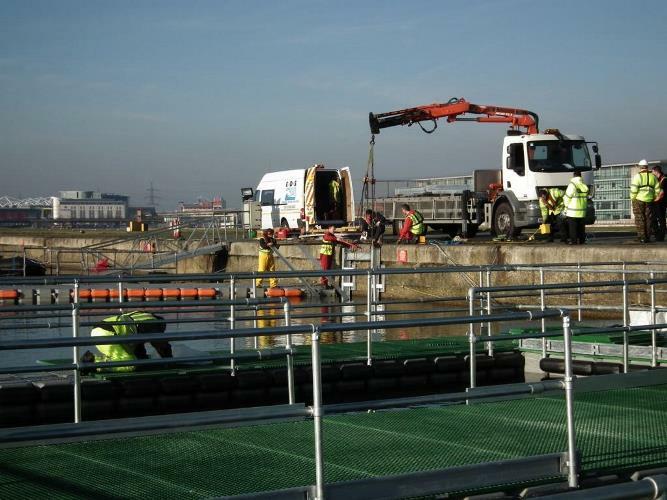 One of our projects saw us fabricate and install the supporting steelwork for an aqua-dock boat ramp and mooring pontoon for London City Airport Fire & Rescue boats.